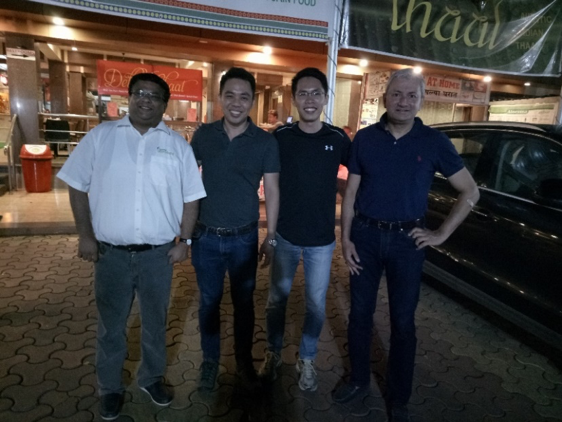 Richard and I recently made a trip to Mumbai, India to carry out some on-the-ground scuttlebutt activities on one of our investee companies, Emmbi, and on other companies that we have on our watchlist. Richard will be sharing our deeper insights into Emmbi in this issue, and our observations of some other companies that we have done some scuttlebutt on the ground in the upcoming newsletters, which includes a seemingly superb growth company that may have more issues then previously disclosed, and will be an interesting case study to see how it unravels and what actually happens. This is my first trip to India, and while I am appreciative of the warmth and hospitality of the people there, I believe that the country can do much better in several key areas. While I have my concerns with India as a country going forward economically, I believe that there are some companies, despite the developing status of the markets there, will overcome the challenges that is holding the country back. As compared to China, India may be backward economically, but the country is brimming with untapped talent. Unfortunately, that talent can only be tapped with education, and as long as education there continues to languish, India will likely find it hard to prosper as a country. 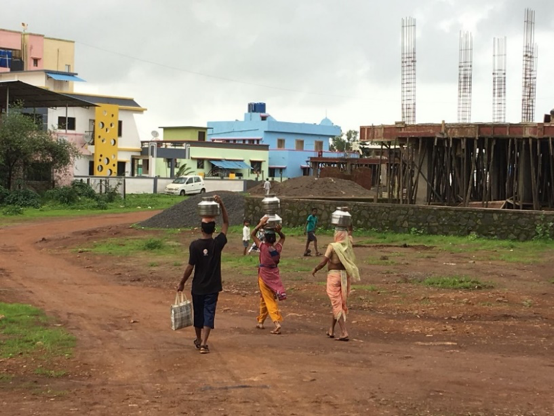 Despite visible signs of progress made in their economic development, I believe that the Indian Government needs to increase their budget and expenditure and focus on to setting up their education system, and an effective and basic transport and sanitation infrastructure to allow more of the population to flourish. 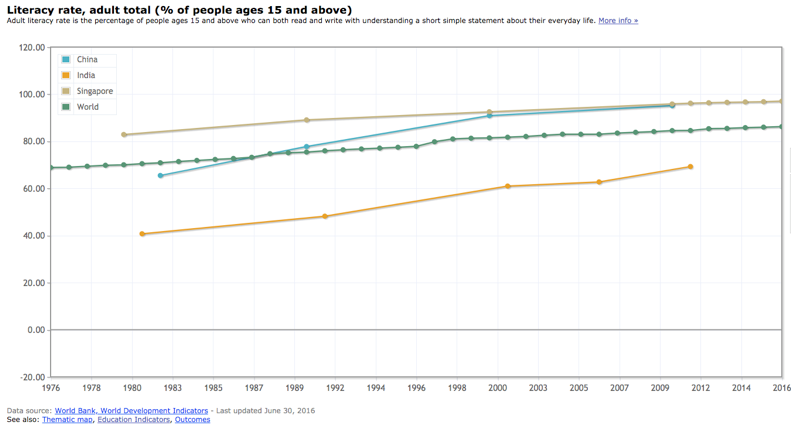 When we compare the literacy rate of India with China, Singapore and the World, India is not only behind China and Singapore, but languishing below the World’s average. While the gap between India and the World’s average is narrowing based on its current rate, I estimate that it will take probably a decade before the gap is narrowed, which in my opinion, is too slow. Too many of India’s labour force will be “stuck” in the agricultural age, which will be challenging for their economic growth and development. Another glaring area that I personally felt can be improved is the access to proper and hygiene sanitation access, particularly in the rural areas. 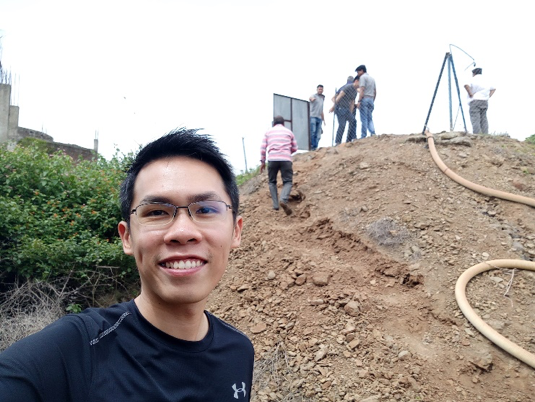 During our trip, we observed and believe that quite a big percentage of the population may have lack of access to proper sanitation facility access (see more details in the appendix 1). We believe that despite these issues, India is currently at a relatively low base (based on GDP per Capita PPP), and with an increasingly more educated population and growing middle class, India has the opportunity to do a “China phenomenon”. There will be challenges for the country along the way but I am optimistic that the country can overcome her challenges to do better, based purely on my initial impressions of the potential of her people. While we already have a certain percentage of our allocation to India and her companies, I do recognise that it is still very early stages for their smaller companies in the capital markets. Hence, risk involved is higher. That being the case, we will limit our exposure to the market accordingly. As mentioned previously, a major part of what we will be focusing on is building a growing portfolio of companies that is adequately diversified in terms of country, industry, company and liquidity risk despite having high conviction positions. We target to hold between 15-30 and ride the growth of these companies sustainably over the long-term for all our investors. I first stepped foot in India on a job five years ago with Ernst and Young, and so much have happened since. Not only did the Hindu nationalist Bharatiya Janata Party and its candidate for prime minister, Narendra Modi, win the parliamentary elections by a landslide, he had also, in a now-historic televised address, announced demonetization. Demonetization is the act of stripping a currency unit of its status as legal tender. It occurs whenever there is a change of national currency: The current form or forms of money is pulled from circulation and retired, often to be replaced with new notes or coins. The exercise immediately banned Rs 500 and Rs 1,000 currency notes, wiping out nearly 87 per cent of the currency that was in circulation in India back then. The objective was to crack down on corruption, choke the flow of funds to terrorists, and expand the country tax base. Though there were various debates on the degree of success of demonetization, it is crucial that the government is taking steps to continuously improve the financial system of the country. Naturally, I was excited over our trip to visit Emmbi and obtain some first-hand experience of how things have been going for India on the ground and share it with you. 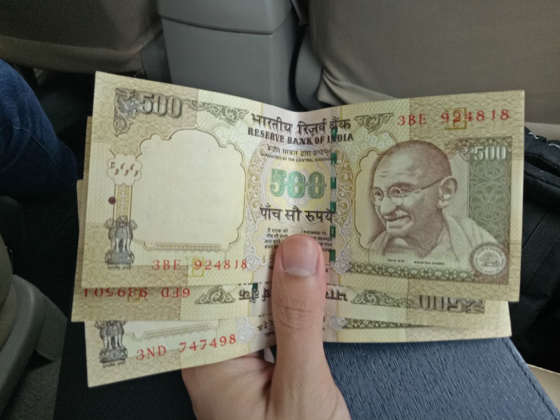 I found out that the old notes left from my previous trip cannot be used anymore due to the Demonetization! We visited Emmbi’s office after lunch, where we met with Mr Makrand Appalwar (Managing Director) of Emmbi Industries, her wife, Rinku Appalwar (CFO), and Krishnan Subramanian (Non-Executive Director). They brought us to tour the office and before we sat down to discuss in-depth about Emmbi’s business. At one point of our discussion, Ms Rinku was sharing about the Unique Selling Point (USP) of the business but could not bring across the technical points to us. She quickly got Mr Makrand to explain on their proprietary technology (A special woven polymer-based pond liner with the world’s widest width to reduce joints and improve effectiveness), which I thought he did it with ease. Mr Makrand spoke about how under normal circumstances, the UV rays from the sun excites the electrons from the plastic causing the electrons to break the bond and go to the surface. This makes the plastic brittle, losing its elasticity and becoming easily breakable. Using a special coating process, Emmbi is able to block the electrons’ path to the surface. 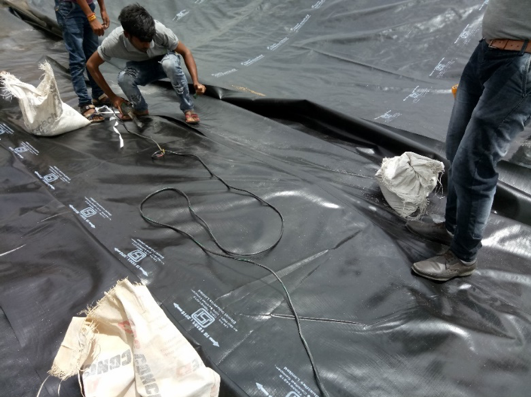 As the electrons do not get excited even after being exposed to the scorching sun, Emmbi is able to make their products extremely durable. From my own experience, for one to be able to explain difficult technical concepts in layman terms such that even a child could understand it, it demonstrates the depth of the technical knowledge one has. Another thing Mr Makrand shared was that he always receives questions like: Why isn’t Emmbi growing faster? Why don’t Emmbi consider starting their own finance company to fund the farmers? His reply was that instead of giving them the fish, Emmbi should teach them how to fish. 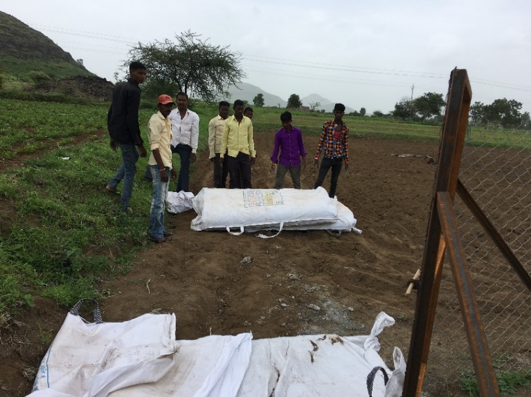 Funding the farmers meant taking on the huge credit risk of default, and hence the team is against it to minimize the risk to Emmbi and let the farmers be financially responsible. When Mr Makrand raised this points, I began to understand on a deeper level the historical growth path of Emmbi. Since 2005, the world has endured various turmoils such as the subprime crisis in 2007 and the Europe debt crisis in 2010. Despite that, Emmbi’s revenue and operating profit has been growing consistently every single year. Consistency is the key and they are very focused on what they are doing. It is more than just a business. It is an idea larger than themselves to serve others! Towards the end of the session, I asked them candidly: Are there any questions that I should have asked you, but that I didn’t? Mr Makrand replied that we didn’t ask what the social impact of this business is. Apart from the financial gain from being an owner in the business, what Emmbi is doing is to support the farmers and eradicating poverty by providing them a sustainable source of water for their farms and families. He pointed out that both Clive and I have been extremely privileged to be living in Singapore, hence we might not fully appreciate how serious the water shortage issue is in India. In the rural areas, many farmers rely on either nearby rivers, or rainfalls for water, both of which can be erratic. The alternating droughts and floods often led to crop failures and farmer suicides. 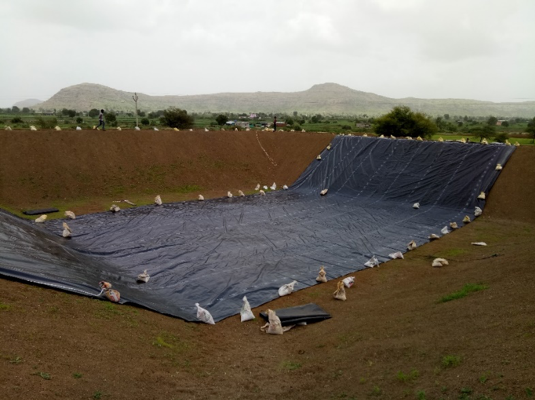 By investing in Emmbi’s pond liner and building the ponds, the farmers are able to have a consistent source of water, enabling them to double their yields and their income. 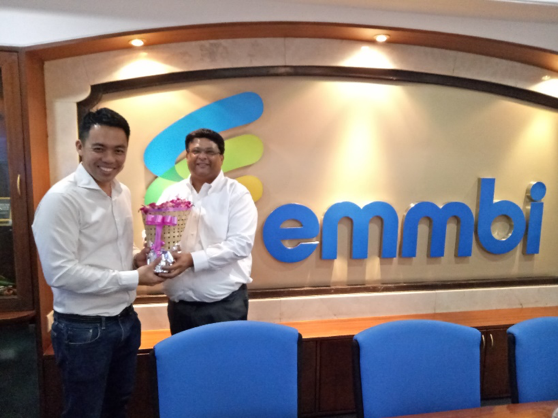 By solving this high value problem, Emmbi is able to grow its highest margin business and at the same time, is the cheapest solution for these farmers. As an investor with Emmbi, we are honoured to be their partner for this cause. Makrand’s response was a little unexpected and it caught me by surprise, as when I usually ask such a question, the management will share with us some parts of the business that is not often mentioned or some unknown insights. I felt his essence and sincerity and believe that he is fully convinced on the pond liner business to help the farmers and at the same time, grow the wealth of the shareholders through this business. I was thoroughly impressed by this idea larger than oneself to serve others. For the pond liner, Emmbi will endeavour to double the revenue of this B2C business by 2020 by expanding its retail distribution network and leveraging its two brands “Jalsanchay” and “Krushirakshak”. This will be Emmbi’s major growth driver in the next few years. 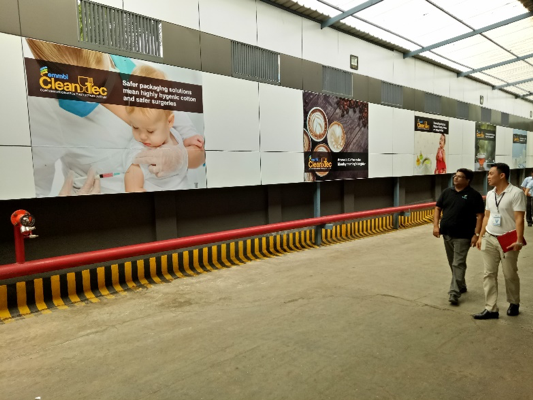 As for the food grade FIBC segment, at peak utilization, the facility is expected to generate revenues of ~ 40 crore with 15%+ EBITDA margins, thereby providing a boost to export sales. With capacity expansion in place and robust product demand, I expect Emmbi to enjoy volume-led growth for the next 3- 5 years. 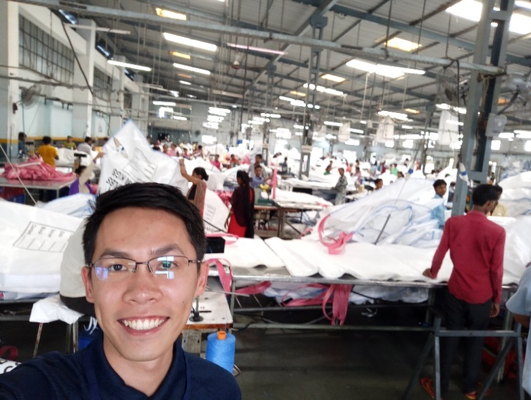 As I was touring the factory, I observed some production process that are still being done manually, making it labour intensive. Out of curiosity, I asked why we did not purchase machines to automate the process. The reply was classic. Cheap. The labour cost is one of the cheapest in the world, that it simply does not make financial sense to buy machines. With low local costs coupled with overseas revenue (Approximately 42% of Emmbi’s sales are overseas), this is one of the main reasons why they are able to compete on the global level in this industry. This may be the reason why the technical textiles industry thrives particularly in India. Since all the competition is local, the key to survival and eventually thrive is innovation with a focus on higher margins niche products. In this aspect, Emmbi has successfully dropped the commodity player tag with a consistent launch of niche products (poultry curtain, coffee bag and wool pack etc). It has also climbed up the innovation ladder with a special focus on catering to the needs of the society (water conservation tanks & farm pond liners), enabling them to enjoy increasing margins. 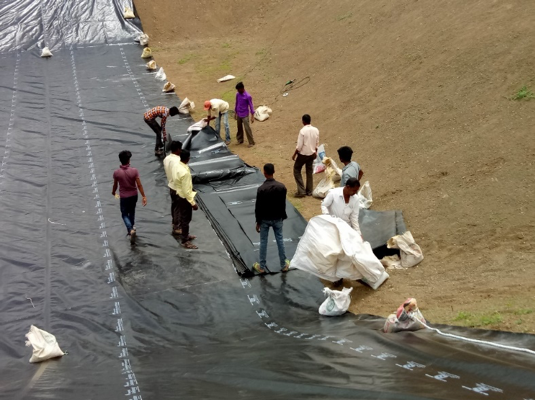 We headed to the grounds on our last day to observe how the pond liners were constructed, even if it meant going further out to the unchartered rural areas. When we arrived, there was a massive hole in the land, ready for the workers to quickly get into action to showcase the process. As it was being installed, one cannot help but wonder about the defect rate for the 2000+ pond liners that Emmbi has built till date. Mr Makrand candidly shared that in the initial days, the defect rate was quite high, at nearly 10%. The most common issue was that the operator did not seal the joints effectively, leading to leakage. To address that issue, they provided training for the operators, and only certified operators can do the sealing. This has greatly reduced the defect rate to nearly none. Emmbi could have easily rolled out the product on a mass scale, but it would be disastrous as this may result in many post job repairs being needed, resulting in more expenses incurred, and at the same time destroying the farmer’s trust in the brand. For the past 18 months, Emmbi has been working on refining the process, and is now ready to launch it on a bigger scale. The focus on quality and delivering value to their customers, in this case the farmers, have been their DNA since inception and is reflected in their growing financials. This leads back to my point earlier on Emmbi aiming for consistent and sustainable growth. 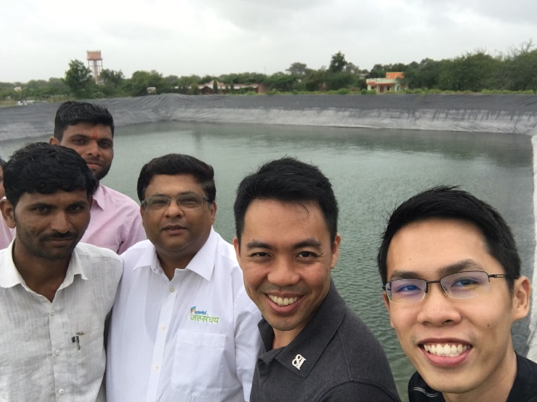 After observing the construction of the pond, we went on to visit other finished ponds. 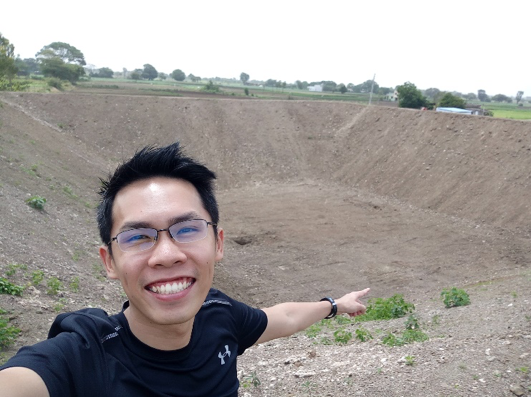 At one of the ponds that we visited, I noticed a huge hole near the pond. Being the curious person I am, I couldn’t help but to look into the hole, which turned out to be a well! 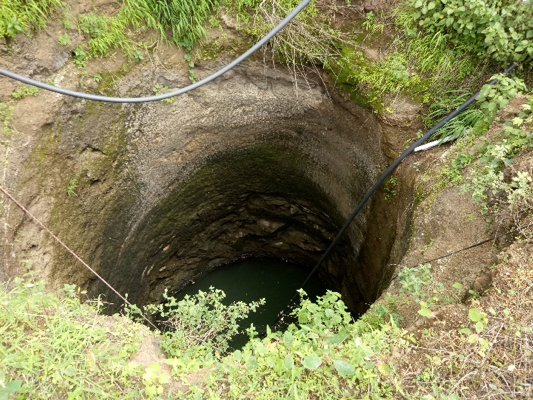 The hole was easily 7 meters deep, and I could see that there wasn’t much water left in the well. 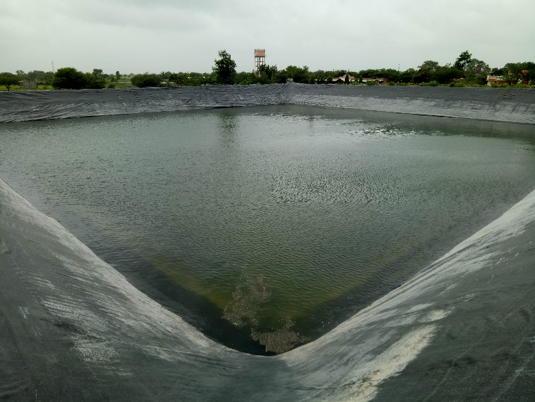 Apparently, in addition to collecting rainwater throughout the monsoon season, some farmers actively pump water from the well and store them in the pond so that they will have the extra capacity to last them throughout summer. Mr Makrand shared that this is common recently, as no open well have enough water. This is especially so during the summer season where most wells have dried up, yet it is when the farmers needs the water most for their crops. India’s water shortage issue is very severe. 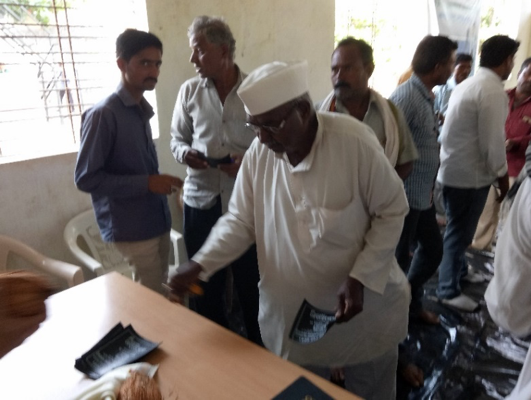 Therefore, the farmers themselves are already sold to the idea of the ponds, it is just a matter of reaching out to them in the rural areas and also taking care of their finances. 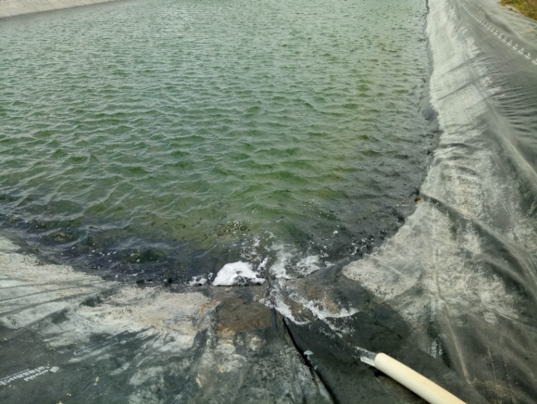 A question that we had in mind when we first came to know of Emmbi’s pond liner business was, how did they distribute their products given India’s vast area of land? Today, we saw the answer for ourselves, when we attended a meet-the-farmers session. 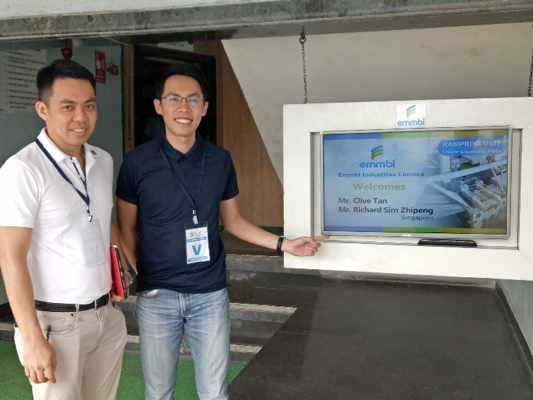 Emmbi has their own sales team, who spends more than 70% of their time away from their base office, going to many different villages to share in detail about their products. 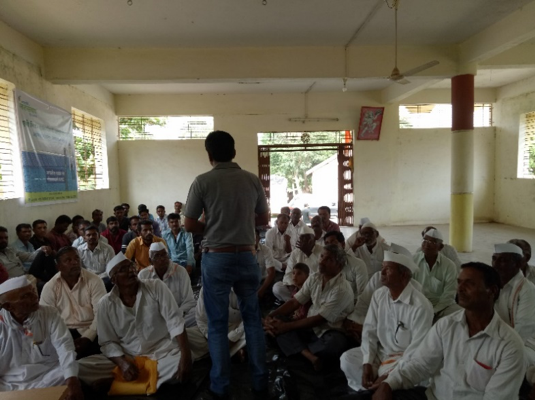 And they will revisit and repeat the process every 1-2 months to maintain constant interaction with the farmers while collecting their feedback on their product. * On a side note, these are the same farmers that slog out hard in the fields to bring food on our table. On a good year, the farmers can earn up to USD 6,000 per annum while on years with unfavorable weather and yield, they might only earn USD 1000 – 2000. Despite their great contributions, I feel sad to see that many of them still struggle in poverty and lead tough lives. We are cautiously optimistic about the investment in Emmbi as all investments have their own risks. The biggest challenge for them in the next 3-5 years would be building the distribution network and negotiating with the banks for a source of financing for the farmers. Failure to do either would dampen the growth rate of the business. On this aspect, the team will be actively monitoring their progress. When it comes to investing, I always like being on the ground as I believe there is only so much that you can learn about business via reading online and through reports. 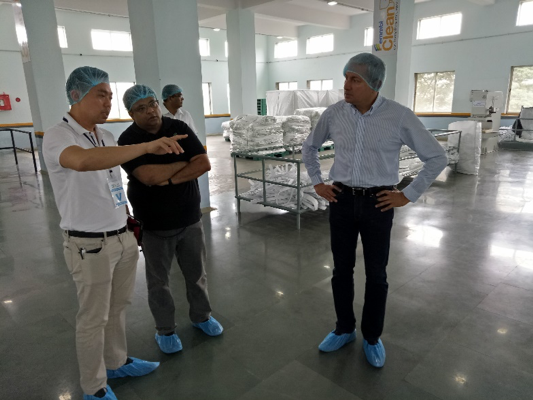 Indeed, it felt so different to be there in their factories, looking at Emmbi’s machines and processes, and at villages with the farmers, to learn about the farmers’ feedbacks. Both Clive and I felt that it was a very fruitful trip. At HCF, the team will continuously strive to do our due diligence on the ground, no matter where it is or how tough it will be. That marks the end of our update on our trip to understand Emmbi’s business. Do stay tuned to Part 2 of our India scuttlebutt trip where more Indian companies will be shared!